No longer a no-go area, the areas around the Market Theatre have been totally renovated and one of the old warehouses near there has been turned into one of the nicest indoor markets I’ve been to in a long time. Local food merchants and innovators have set up stalls and there are a few lovely gifty stalls to purchase excellent souvenirs. 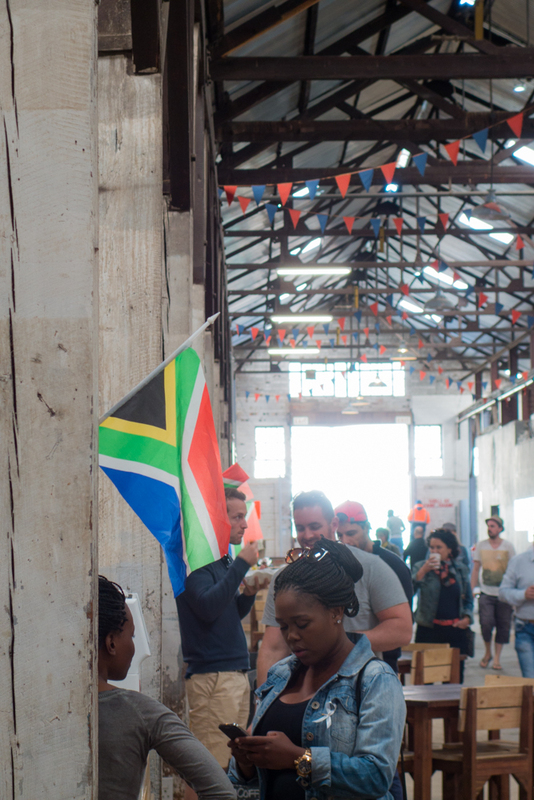 There is also a rather excellent bar serving a number of local craft ales (yes, the craft ale revolution has most certainly hit South Africa and everyone is getting in on the action!). We went for breakfast and had both a cronut and some stuffed french toast, both of which were delicious. The stuffed french toast was utterly brilliant in idea tho as it was stuffed with peri-peri chicken, goats cheese and rocket. Or you could try nutella and banana stuffed french toast. The stuff dreams are made of! 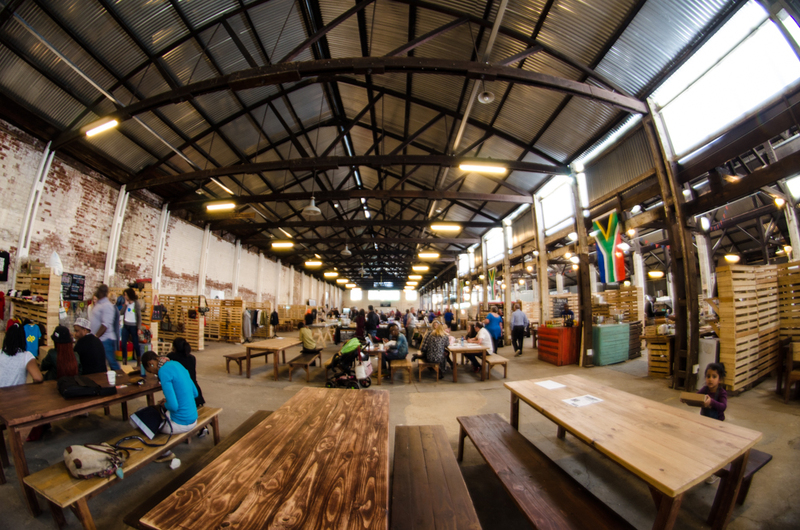 This was formerly the area where the old sewing and material district was in Johannesburg CBD and it’s not lost its charm and craftyness. There is a brilliant building with a foodhall on the ground floor, followed by arts and crafts shops on the floors above it. 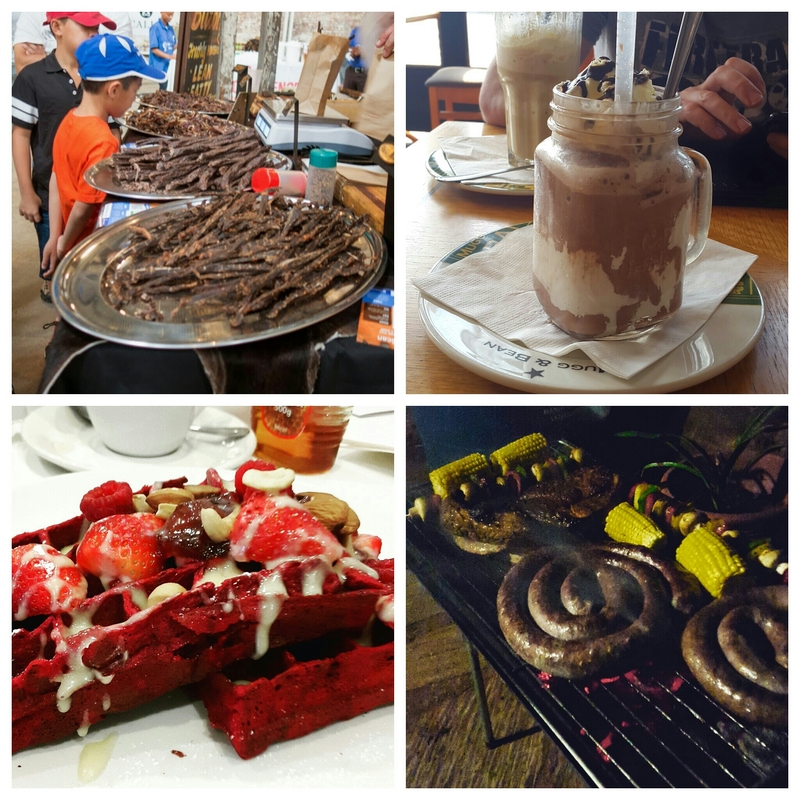 The foodhall was brilliant and we enjoyed the sights and smells of some heavenly looking South African treats plus some international flavours. Around the main building are other buildings with great looking bars and restaurants, plus an Arts Hotel and some amazing looking places to eat and live. 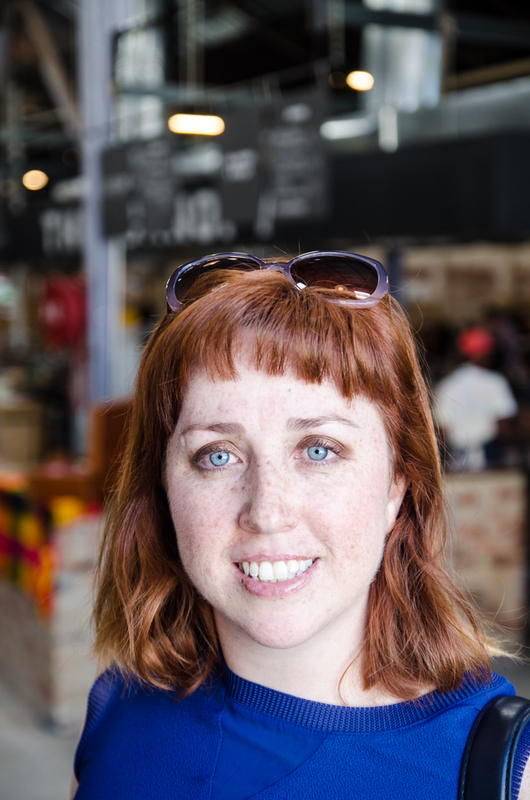 It’s a total joy to see such renovations happening in what was a totally awful place and I love the fact that all the young, trendy and cool people are moving back into the centre of Joburg and creating their own new space and eradicating some of the horrors of the 20th century. Obviously, it’s still Africa so there are still people selling crafts on the roadside, car guards and some begging but it’s a big change and I hope it both stays and spreads outwards. 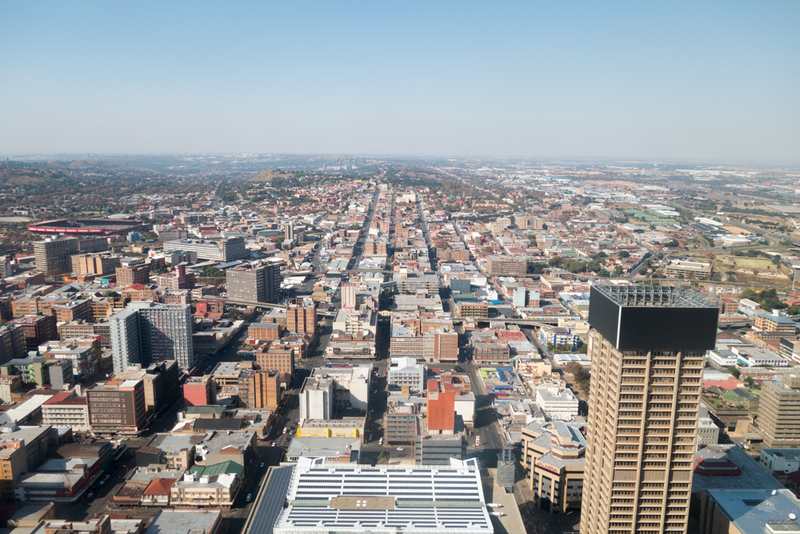 At the top of this shopping mall, lies an office tower that was previously the tallest building in Southern Africa. It’s been there since the 60s and has some amazing 360 views. 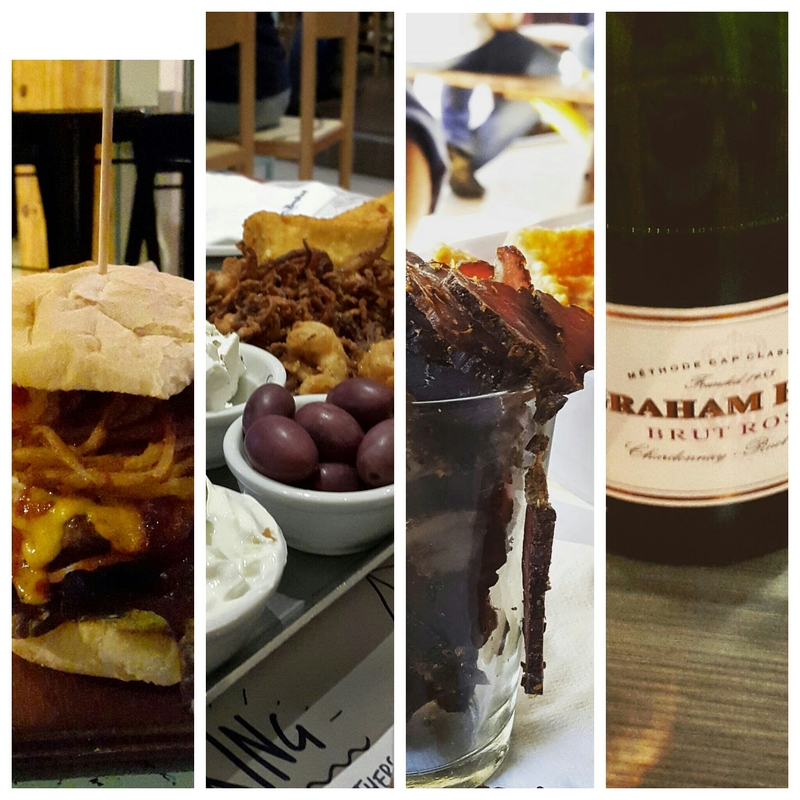 You can truly appreciate the sprawl of Johannesburg and the immensity of the city and its surrounding suburban areas. Plus you can see how the old town planners laid out the grid pattern and then it was totally changed by the landscape in some places. 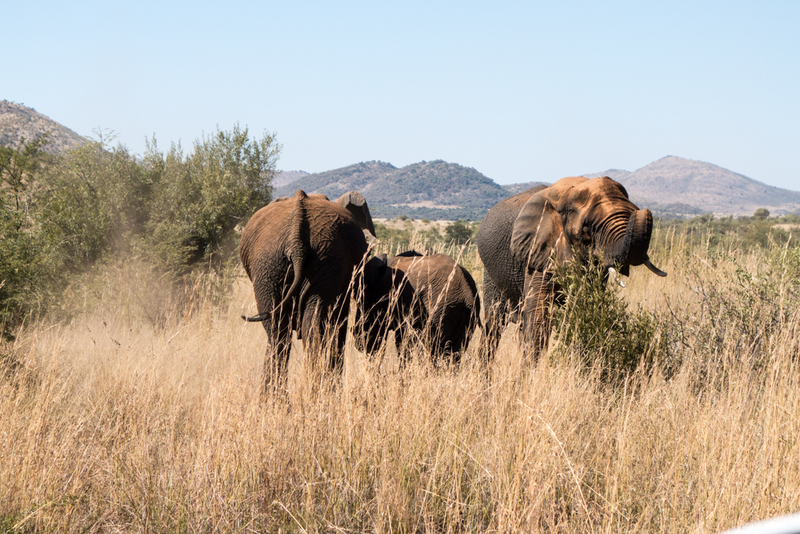 And we’re back to traditional Africa – wildlife at it’s best! 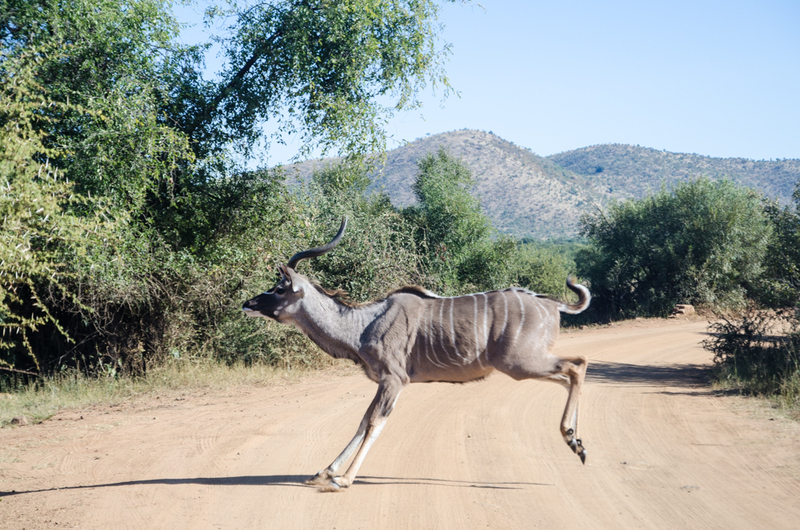 This game reserve is about 90 minutes drive from Johannesburg (if you’re staying in the northern suburbs) and is a great day trip if you want to see some proper game. They have all the big 5 and lots of the smaller ones (plenty of stupid zebra) and it’s exceptionally easy to self drive through the parks. 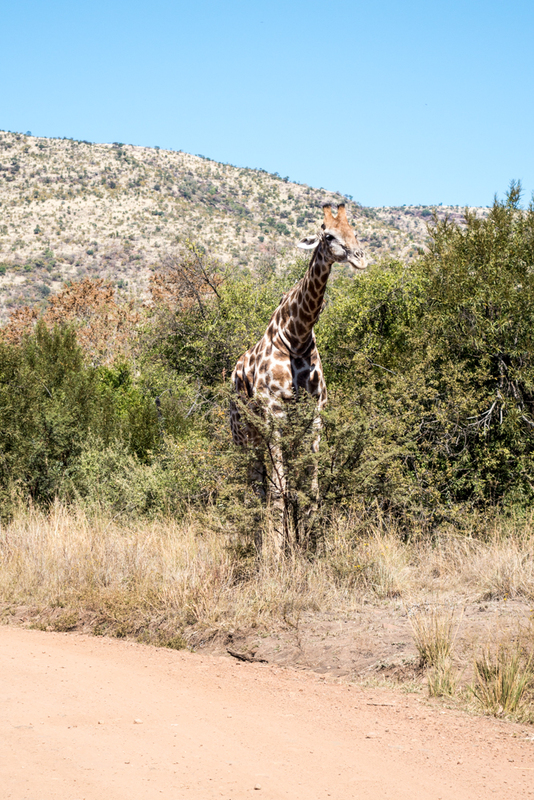 Guided tours are also available from the Manyane gate (which we usually use to enter the park). 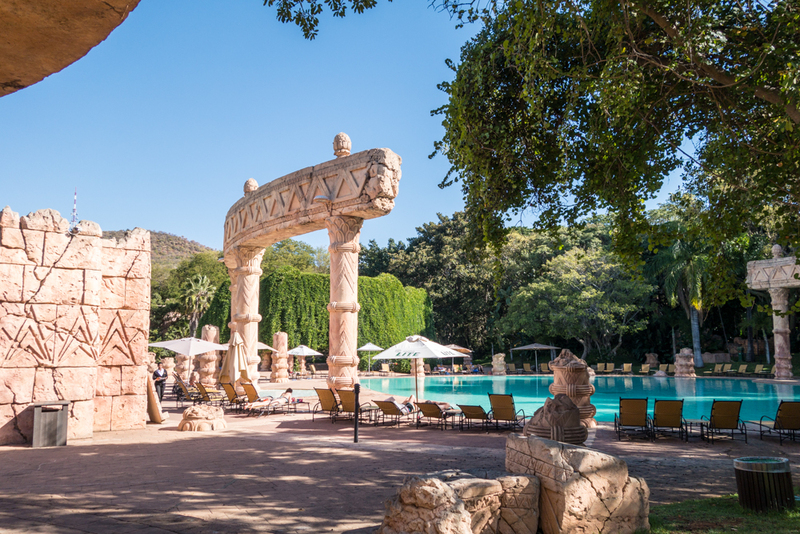 There is also a resort with permanent tents available at Manyane gate and it’s a lovely place to stay and commune with nature. Last time we went we did an evening safari drive and when we arrived back to our tent, there were zebra and warthogs hanging around the campsite. It’s a cracking place to spend a day sunning and swimming and enjoying yourself. Best avoided in the december rush however and during school holidays. It’s not cheap but it’s not outrageous. We rarely bother with the casinos and other places and just head straight for the Valley of Waves as it’s the most fun. The bridge over to the pools is the best place for kids as it shakes every 10 minutes, and emits smoke and sound. Very Indiana Jones! 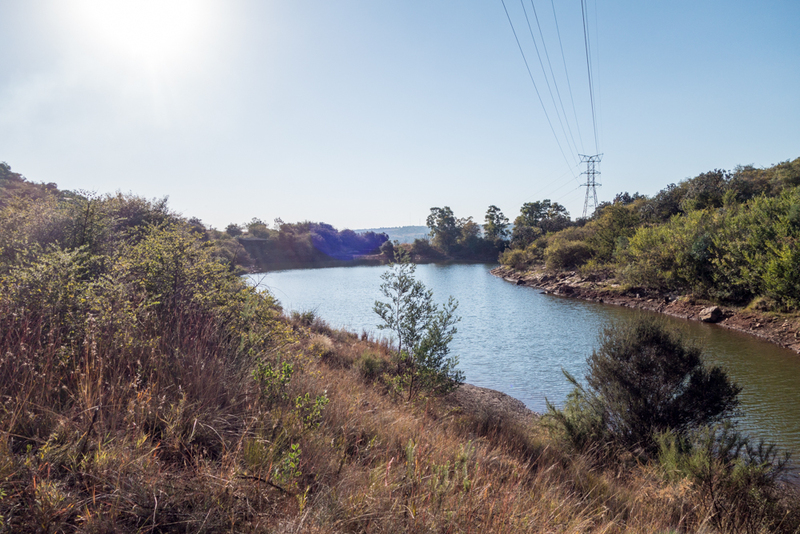 This is in the centre of suburbia and is a true oasis of tranquility, away from the busy roads around this part of the West Rand. There is no big game but plenty of dassies (rock rabbits), birds and wild life around the lake and some nice hikes around the hills. If you’re sick of the shopping malls and indoor activities, then this is a good place to come for a nice picnic. 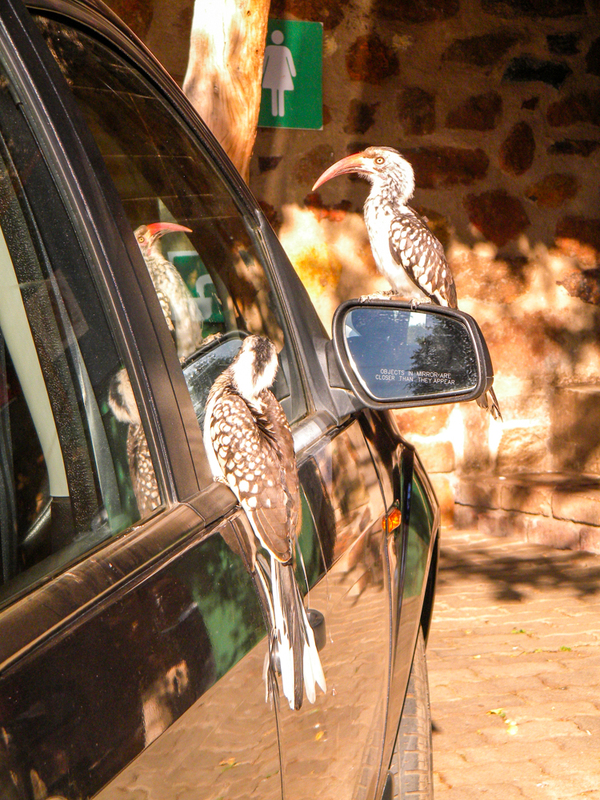 World Stupidest birds – attempting to break into a car? 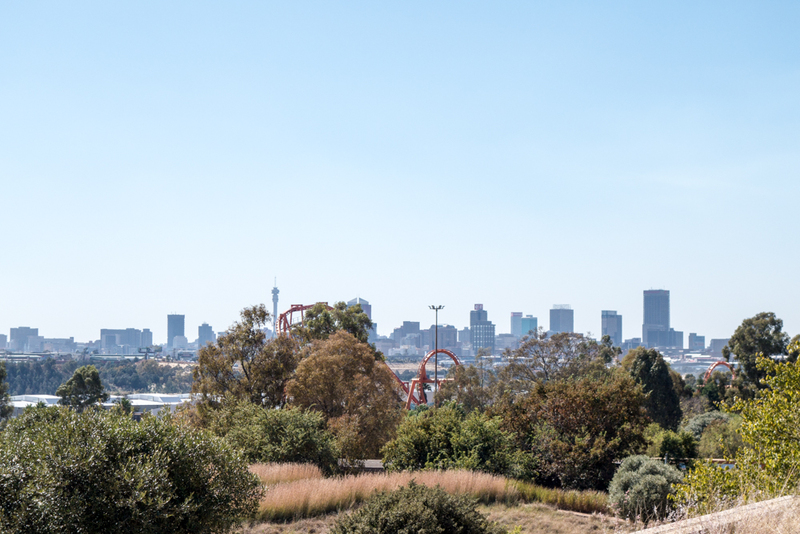 The picture below shows the view from the top of the Museum into Johannesburg CBD and the rides of Gold Reef City in the foreground. This is probably the best museum I’ve been to in my life before. And I’ve been to the Soane Museum in London. It’s utterly fascinating to see such an amazingly well researched part of the last century and while it examines some pretty grim and sad history, it does leave you with a sense of hope for the future. Some of it is pretty bleak viewing and it certainly opened my eyes to things that I lived through, but was too young to fully understand what was happening. I do however think it’s appropriate for children and honestly, I think most children need to understand the ramifications of a separate society and what happens when one group is segregated and subjugated. 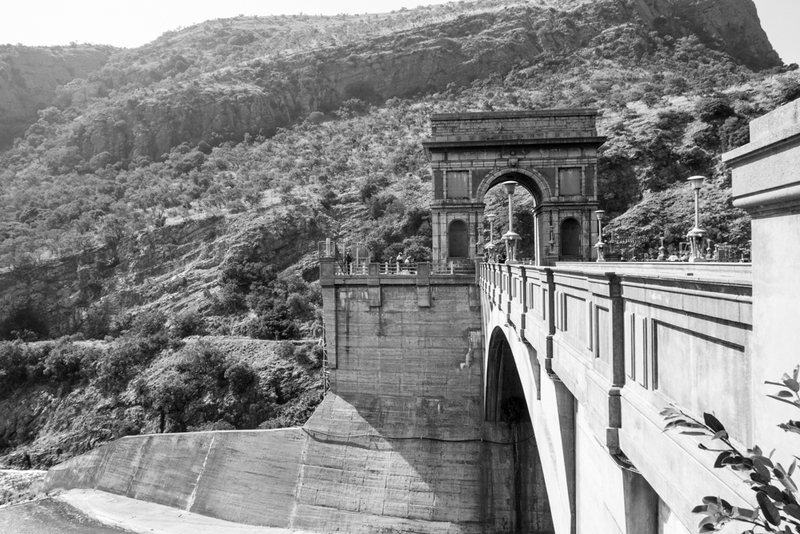 One of the engineering feats of South Africa – this massive dam was created by these huge walls in the Crocodile river in the 1920s and as you can see, this is no mean feat! The dam itself is huge – almost 18 square kilometres and these days both irrigates farmers fields and is a major weekend and holiday resort. 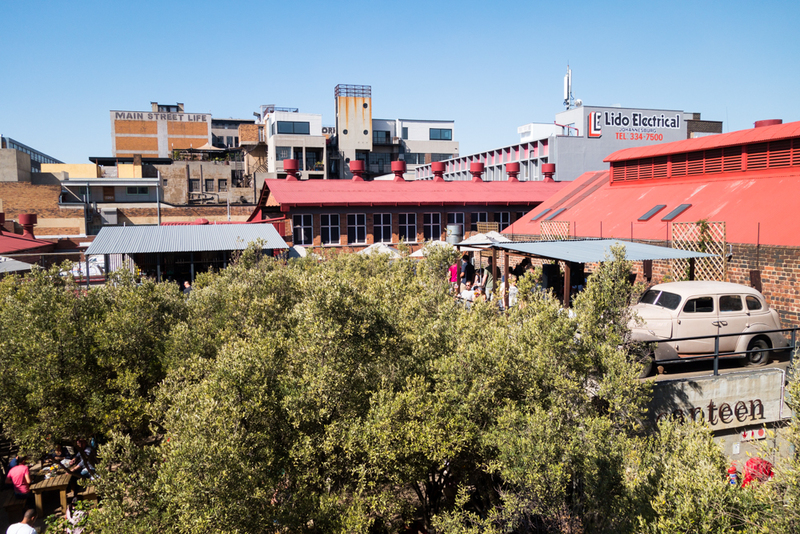 The town of Hartbeespoort and the Zoo are also good attractions near here and the Reptile House at the Zoo is pretty epic! 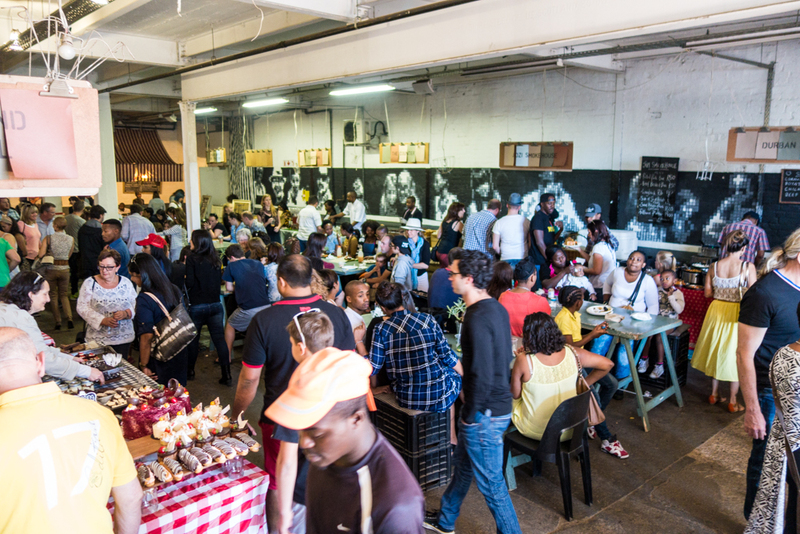 This is probably one of the best places I’ve ever been in Johannesburg. It’s basically one womans drive to save the cheetah and their breeding programs and tours have probably done more to save this beautiful cat than anything else. 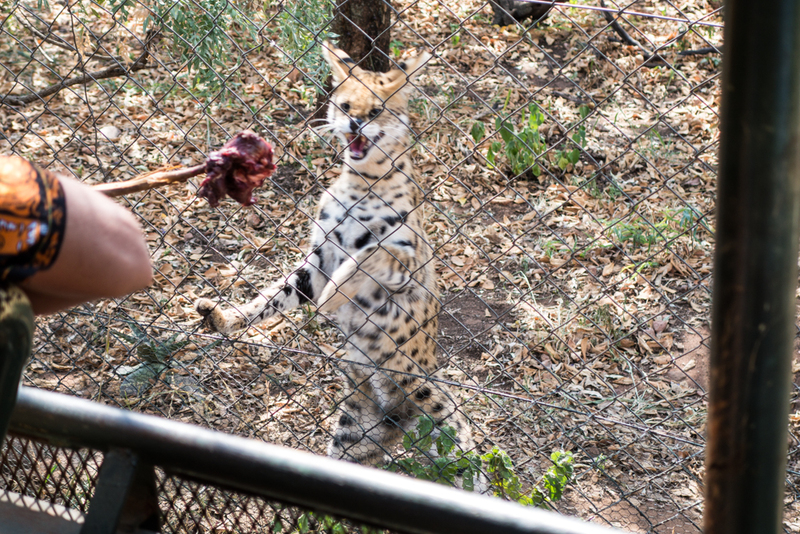 We did a guided tour which included a cheetah stroking session and a the viewing of a few more animals – including the angry looking caracal below! 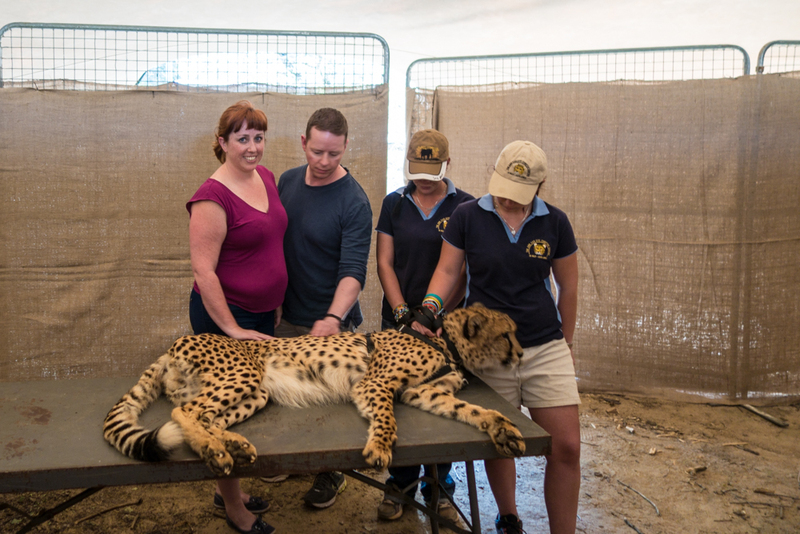 What I didn’t realise is that the big cats purr as well – and the echoing purr of a happy cheetah being fed treats and stroked is utterly immense. They are totally amazing, beautiful, fast and dangerous. 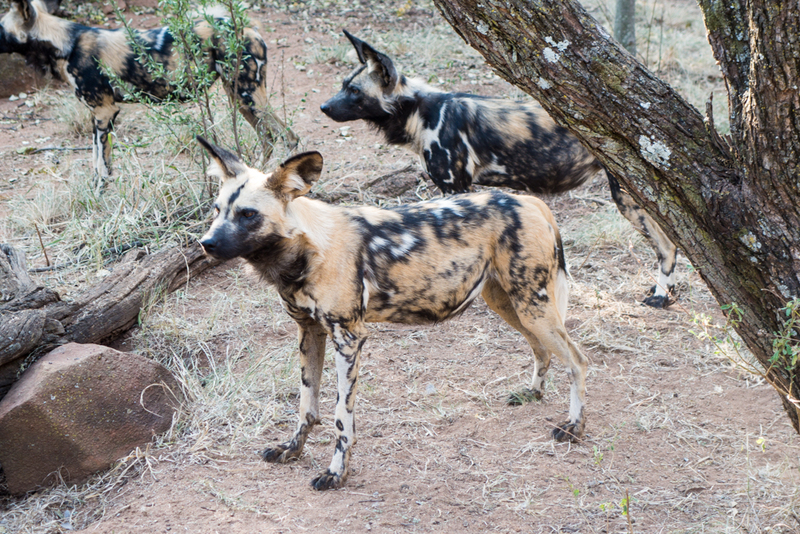 Also at the centre are a few packs of wild dogs – also an endangered species in Africa. They’re pretty cool, are matriarchal and basically, are so disgusting that they put every other animal to shame. We also saw a honey badger. Which is not a badger at all but is a small violent, anarchic, tough guy. I recommend you watch the video below to truly appreciate just how badass they are! Jafar – apparently he has an attitude problem! I have been harassed by the locals in Africa!